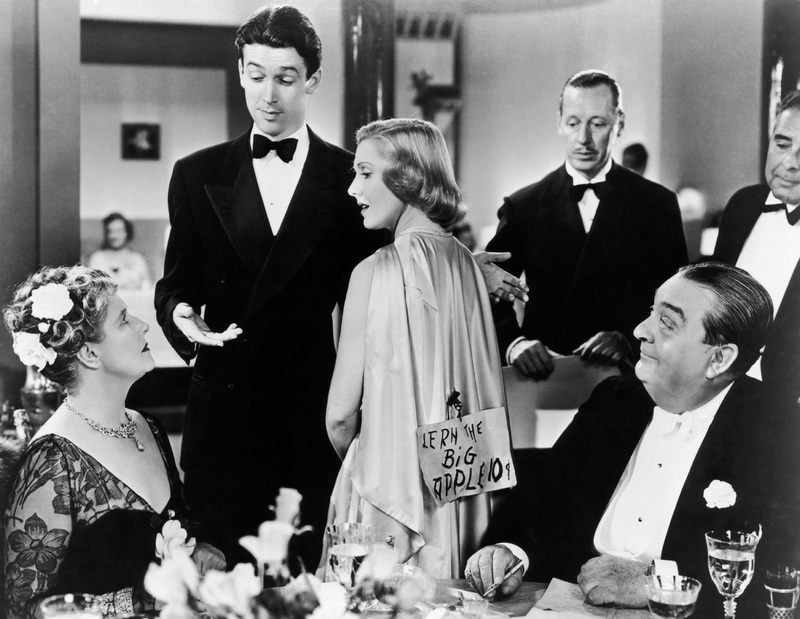 A still from the 1938 movie version of “You Can’t Take It With You,” starring Jimmy Stewart and Jean Arthur (center). For Ash Wednesday and the Sundays of Lent, Bondings 2.0 is presenting spiritual reflections from a diverse group of theology students who either identify as LGBTQ+ or who are involved with LGBTQ+ theological research and/or ministry. Today’s post is by Lizzie Sextro, a master’s degree student at the Boston College School of Theology and Ministry. She is also a weekly contributor to Bondings 2.0. Because the play is quite funny, I overlooked that deeper message for a very long time: You can’t take it with you. In each of the three example that Jesus offers of hypocrites who are being seen and praised by everyone for their good deeds, one line remains consistent: “Amen, I say to you, they have received their reward.” And, if I may add, they can’t take their reward with them. Jesus highlights the juxtaposition between types of rewards: the finite reward given to the hypocrites in the form of adoration from other people and the eternal reward given to truly righteous people by God. The hypocrites already have their reward now; the truly righteous will receive a reward from God. In the case of the hypocrites, the limitation of their reward is clear: they can’t take it with them. Like Mr. Kirby, we could have all the money and recognition in the world, but to what end? What do we do with the money and recognition after we have left the earth? On Ash Wednesday, Catholics receive ashes on our foreheads with the reminder, “Remember that you are dust, and unto dust you shall return.” It’s not a reminder that our bodies are dirt and worthless to us; it’s a reminder that we were formed by God and we will eventually return to God. Our “return” means that we cannot stay here forever; therefore, Ash Wednesday begins the 40-day reminder of what really matters while we are still here. Jesus calls us to focus our attention, not on finite rewards of this earth, but on the rewards given to us upon our return to God. What can we take with us when we die? In my daily life, I tend to spend an enormous amount of time focused on finite rewards. I have to get an “A” on this next paper. I have to get at least 70 facebook likes on this photo. I have to get the cutest leggings and jeans. I have to get recognized for my accomplishments. Are any of these things inherently bad? No. Can you take them with you? Also, no. One of my favorite things about being a member of the queer community is the vibrancy and life that we bring to the world. We have pride in ourselves because we have historically been made to feel shame. Self-empowerment and communal celebration, however, are not contrary to Jesus’ message here. The LGBTQ+ community focuses on the richness of life and seeking goodness in ourselves and encourages others to find their own goodness, too. How are LGBTQ+ Catholics living out Jesus’ Gospel message this Lent? What are some things in our lives that we need to “give up” that we can’t take with us? What is one thing we can focus on within ourselves that we can “take with us”? Share your personal Lenten practices in the Comments section of this post! What I can’t take with me is my judgementalism, self righteousness and white supremacy. What I hope to take with me is recognizing that we are all precious in God’s eyes.